While most Australian twentysomething lads will be waking up at the crack of noon today, shaking off the dust of a weekend of sun, fun and partying, Jacob French of Bussleton, WA will be hitting the 20km mark of his daily trek across the country. That's less than half his daily walking of approximately 45km before setting up camp and settling into an evening of blisters and instant noodles. Jacob set out in July to raise money for the Starlight Children's Foundation by attempting to walk across Australia (from Perth to Sydney), in a replica Star Wars Storm Trooper costume. 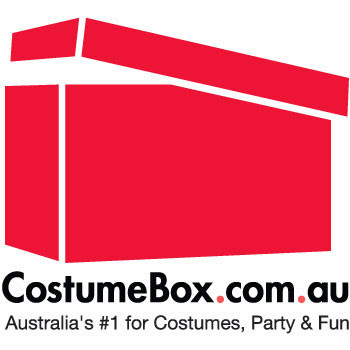 Wearing a plastic molded Storm Trooper costume that weighs nearly 7kgs with full-helmet has definitely brought attention to his cause. 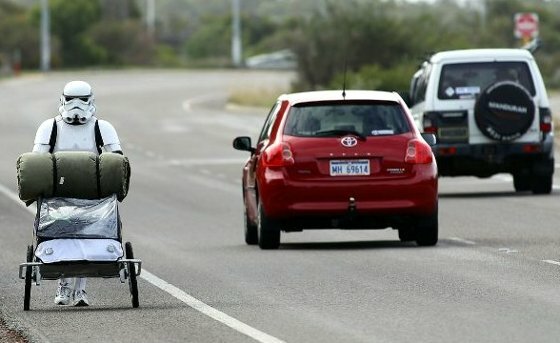 To date he has raised over $30,000 for the charity, and he isn't even half way across Australia. Be sure to stop by his website and check on his progress, show your support, and help cheer him on! Check out Jacob's Facebook Page to track his progress. Donate at Everyday Hero, every little bit counts. Stormtrooper Trek by Jacob French from ABC Open Goldfields WA on Vimeo.